The Movement Centre is a charity and we aim to make our services as accessible as we can. Each course of Targeted Training therapy has a cost of £6250. We offer families a free Initial Assessment, which is funded through our own fundraising and donations. This enables us to determine if a child is suitable for Targeted Training therapy. If your child is suitable we work closely with each family to determine the best route for funding. We aim to ensure that any family that would like to access our services are able to do so. Targeted Training is a specialist therapy and because of this it falls outside the remit for standard NHS funding. We can help you try to access funding through your local NHS Clinical Commissioning Group. While some of our families have received funding support from the NHS, many of our families are not able to access this funding. If NHS funding is not available our team are available to offer support and advice. We will support you through the process and discuss the different funding and fundraising options available for Targeted Training therapy. Funding a course of Targeted Training can be through personal funds or through fundraising. While some families already have experience of raising funds we are able to offer help and support and advice to those who have less experience of fundraising. 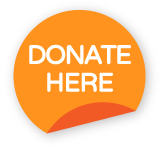 Due to our fantastic donors and fundraisers, we are also able to offer financial assistance (up to 50% of the cost of therapy) for many of the families who come to The Movement Centre. Our team are available to talk you through the funding process and the support we can offer at your Initial Assessment. We would also be very happy to discuss this with you over the phone prior to your appointment. You may also find the following organisations helpful for funding support. Below are some useful organisations and websites that can help with funding and fundraising. For a more in-depth list and further help with fundraising, please get in touch! 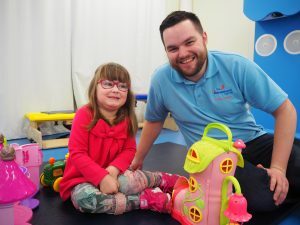 Tree of Hope – Tree of Hope support seriously ill and disabled children and their families all over the UK and Ireland, to raise funds for medical treatment, therapy and equipment that is unavailable through the UK healthcare system. Tree of Hope are the crowdfunding children’s charity of choice for young people with healthcare needs, giving access to corporate donations, Gift Aid and potential grants from Trusts and Foundations. Most importantly they give reassurance to donors that their money will be spent on your child and their healthcare needs. Visit www.treeofhope.org.uk for more information or contact the Tree of Hope Family Support Team on 01892 535525. Turn 2 Us – Turn2us is a national charity that helps people in financial hardship to gain access to welfare benefits, charitable grants and support services. You can use the Grant’s Search tool to help you find support in your area. Disability Grants – Website which helps you to find suitable grants available. Family Fund – Families in the UK can apply for support.